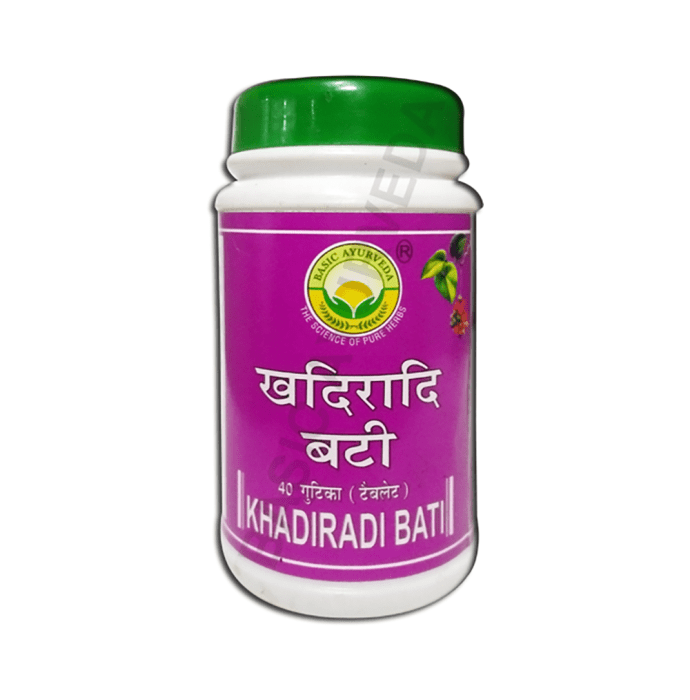 Basic Ayurveda Khadiradi Bati is an oral care tablet used in the treatment of stomatitis, foul breath, dental diseases and dental caries. Besides, it helps in curing throat problems, tonsillitis, anorexia, locked jaw and other diseases of the buccal cavity. It also provides relief from stomach related problems. It also acts as an astringent, expectorant, sedative and antiseptic. Take 1 to 4 tablets a day to be sucked with honey.